Learn how I can help improve your performance. Experience how Sports Nutrition can help you gain the edge on your competitors. Are you looking for a way optimise your performance? Perhaps you are struggling to recover effectively from training, or you are experiencing more injuries than you used to? Did you know that nutrition plays one of the most crucial roles in your health and thus your ability to train and recover effectively? The impact of nutrition in sport is often underestimated, but ultimately it creates the foundation for the athletes ability to make energy, recover from and adapt from training and its environment. Our cells rely upon vitamins, minerals, proteins, fats and carbohydrates to function correctly, thus our nutrition is crucial in how well these cells function. 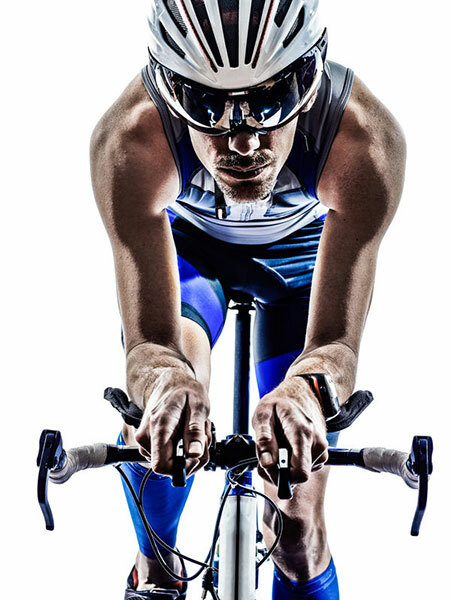 By ensuring that we are supplying the body with adequate levels of these nutrients, the cells, tissue, organs and therefore the athlete can function optimally. Because of the high levels of training in the athlete, nutrient demands are higher than most individuals. Whilst eating the right foods to ensure an optimal intake of macronutrients like proteins, fats and carbohydrates and also micronutrients like vitamins and minerals makes up a foundation of the athletes food intake, there are many other areas of nutrition and the athletes lifestyle that should be considered to ensure optimal results. Most athletes want to train harder to gain the competitive advantage, but your training and results can only be as good as your recovery. Poor or inadequate recovery will lead to a gradual reduction or plateau in your results, leaving you feeling frustrated. Correct eating, lifestyle habits and nutrient timing allow us to support the recovery phase between training to allow you to train at your full potential. Many athletes also suffer with immune insufficiencies that will ultimately lead to missing training sessions or poor performance during training. By supporting the body with the correct nutrition we are better able to support the immune system and take the stress off the body, allowing for more consistent training and thus progression of results. A big part of an athlete’s ability to compete at the top is achieving an optimal body composition for their particular sport. We will review your sport and be able to assess your body fat levels to determine if improvements can be made. Caloric restriction, which is most commonly associated with weight loss, may not be favorable for you, your performance or recovery. By assessing all the systems in the body we are better able to see any potential blocks in body composition and we can supply an ideal protocol without a diet that could impair performance. Instead we support function at a cellular level, and thus improving energy metabolism. Correcting and optimising body composition usually comes naturally when you focus on proper nutrition. However there are many principles that can be used to speed up fat loss results or increase muscle mass gains, all of which will be tailored to you, your training and your sport. I have worked as a nutritionist since 2009 and had a background in exercise physiology before becoming a nutritionist. I attained my 1st class honors degree in Sports Science in 2005 and since then have have helped to coach British athletes in athletics and fencing, along with professional golfers and football players, including premiership standard football players. I have supported athletes who have gone on to win medals in the Commonwealth Games and European Championships and I have high hopes for the athletes I work with as we approach the Olympics in 2016. I offer athlete support packages funded privately by the athletes themselves or in the past athlete sponsorship has been able to fund my nutrition services. If you have a sponsor that might fund your nutrition support, I am able to put a proposal together for you. British champion, commonwealth silver and bronze medalist and European gold and silver medalist sprinter. British Fencer and gold medal winner of Commonwealth Youth games in 2012.